Gin is probably my favorite spirit, which is why I am pretty sure I am the reincarnate of a flapper from the 1920s. 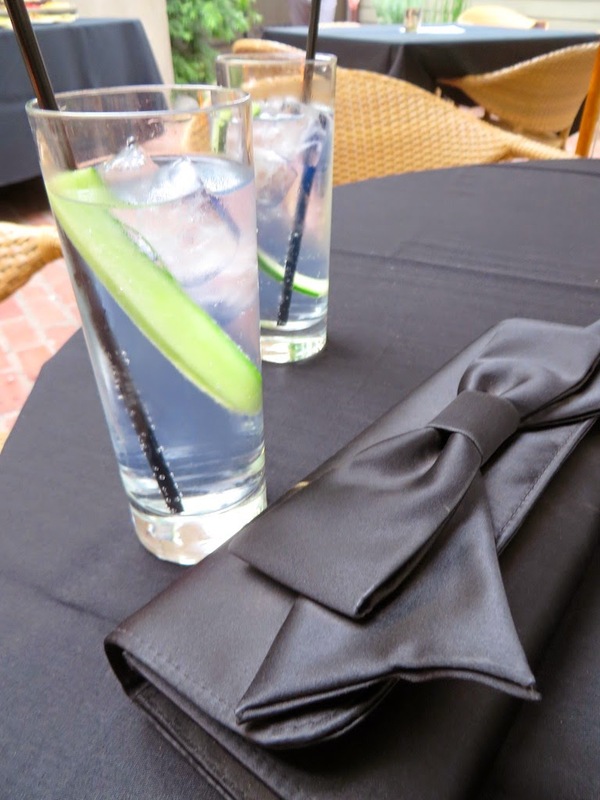 Nothing beats a good gin martini or my personal favorite, a gin and tonic with just a touch of lime. Gin was originally incorporated into various mixed drinks as a result of Prohibition. Some of the gin produced illegally during this period was known as "bathtub gin" because it was literally made in a person's bathtub. This gin was so bad that it simply needed to be mixed with other ingredients in order to be palatable. Well, flash forward to almost a century later and we are still enjoying these cocktails today (thankfully with much better gin) along with other new ones. In fact, we are in the midst of a resurgence in Prohibition era cocktails, thus reviving the Roaring 20s for all to enjoy. And then you just have Snoop Dogg who famously sang about mixing gin with juice in the 90s, which always left me wondering: what juice is best paired with gin? So why all the talk about gin? 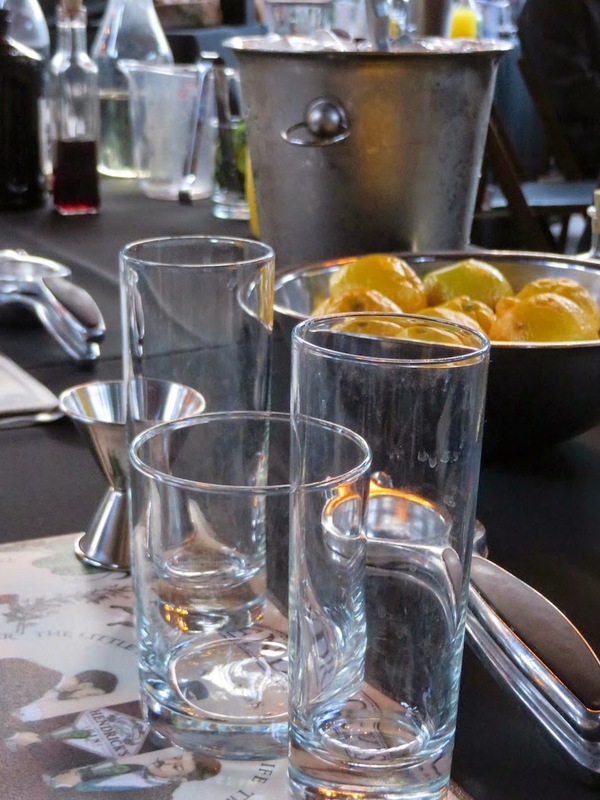 Well, one of our favorite restaurants, The Raymond, was hosting a gin cocktail class sponsored by one of our favorite gins, the deliciously eccentric Hendrick's, which is one of the few Scottish gins. Since the class was complimentary (free drinks and appetizers! ), I had to attend. I love free things. I love gin. Need I say more? I decided to dress up for the occasion, although this proved to be a mistake as I will explain later. 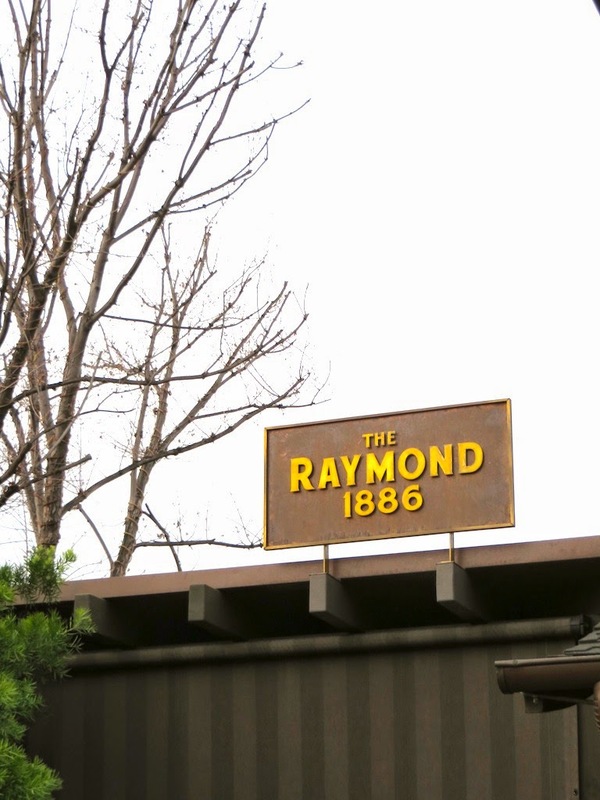 The Raymond restaurant in Pasadena has sort of a cool retro bar called 1886 (pictured below) and I thought it would be nice to dress up with a touch of vintage flair. I wore my new Sunburst skirt from J. Crew and a pair of polka dot kate spade heels. 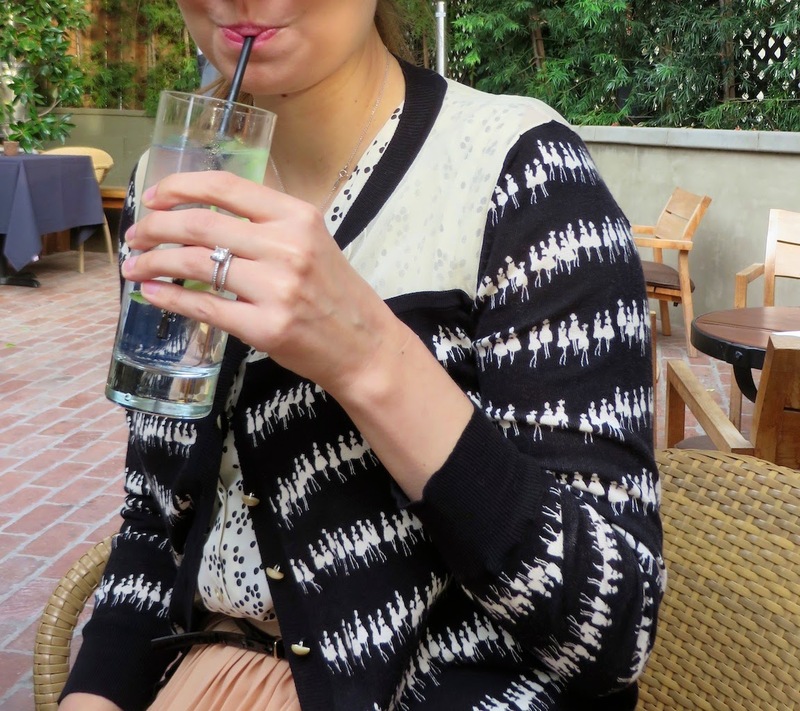 My sweater (it was California cool that day) from Orla Kiely features sprightly dancing ladies in an endless line. I received many comments on my outfit, likening me to a ballerina, which I guess was sort of the look I was going for in addition to the whole vintage thing. I thought I might do a little dancing too after a cocktail or two. 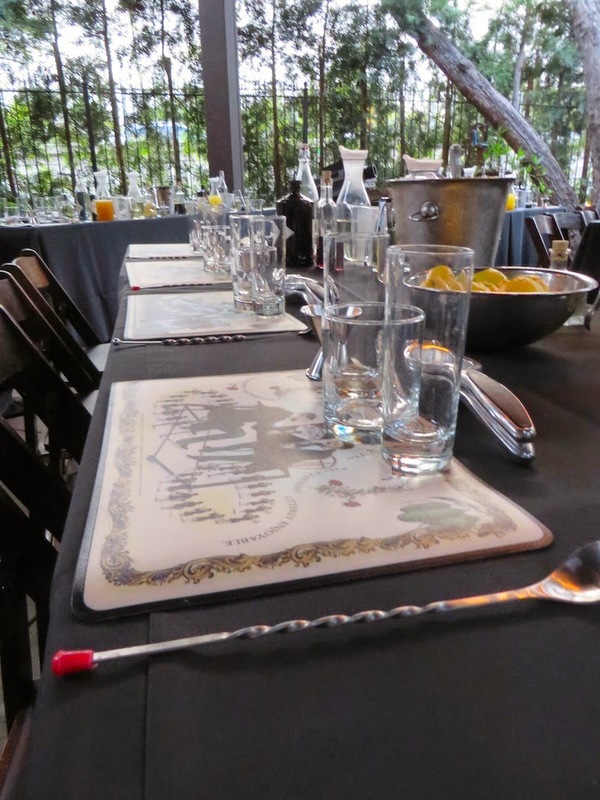 Below you will witness my fun, unusual and very delicious experience at the Hendrick's cocktail class. First we checked into the Hendrick's Cocktail Academy. They made quite a production of the whole thing and had a fairly elaborate setup for the event. Hendrick's doesn't need to win me over as a customer because I have loved their gin for years, but it's nice that they wanted to put on a show to promote their product. Next we traveled down the brick path that led straight to the appetizers and cocktails. Ah... a nice gin and tonic with a slice of cucumber waiting for me at the end. Hendrick's gin is unique because it is infused with cucumber and rose, which gives it a really distinctive flavor. After enjoying some appetizers and my gin and tonic we were led to the cocktail making station, stocked with everything one might need to construct a refreshing gin drink: simple syrup, tea, club soda, ice, blood orange liquor, Lillet, bitters, lemons and cucumbers to compliment the flavors in Hendrick's. So this might look like a blissful scene with the pretty and cheerful lemons, however the lemons turned out to be fatal to my outfit. Our host instructed everyone on how to properly use the lemon squeezer and I was thinking to myself that something would go wrong. Well, it did. The couple next to us was, to put it mildly, sauced. All of a sudden I felt a sting in my eye and then lemon juice dripping all over my face, sweater and skirt. Luckily, nothing stained and the host moved us and asked the sauced couple to leave. My favorite of the three cocktails we made was the punch. They actually brought out a whole punch bowl with a gigantic block of ice! My husband and I had the whole punch bowl to ourselves, thankfully, but we didn't drink it all, because if we did, we would definitely have ended up on the floor! Below you will see the three drinks that we ended up concocting. They were yummy and very refreshing, prefect for relaxing in the back yard this summer or for a BBQ. As for the punch, this might be the perfect solution to holiday parties and family get togethers in the future. I will definitely have to recreate these at home, plus a bunch more thanks to a gin recipe book Hendrick's gave us. This would, of course, be minus the rather amorous, sauced couple getting lemon juice all over my outfit! That looks like so much fun! So sorry about the lemon but at least you looked fantastic!